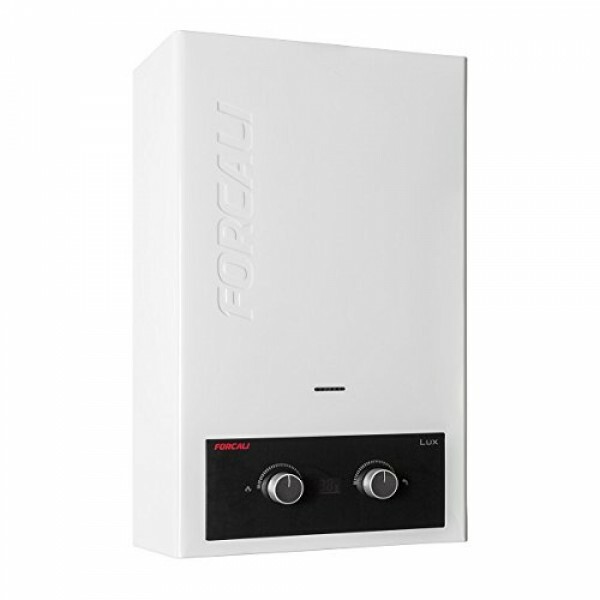 The Forcali LPG range of static caravan water heaters operate without a permanent pilot light offering high performance and safety on sizes unthinkable of until today. Their small size allows them to fit in any space, no matter how small. 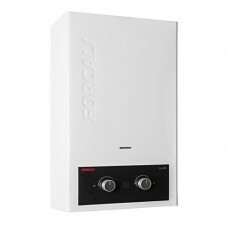 This unit will replace a Morco D51, D61, Primo 6, Cointra Optima 5 or Bosch W135 5L water heater. 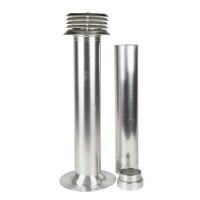 To fit as a direct replacement for a Morco D51 or D 61 simply fit the supplied stand off brackets to bring the Flue in line. 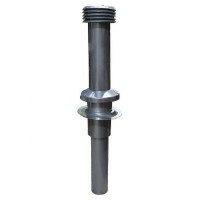 Do not be put off by this as the benefits far out way the simple modification needed, bringing safety of no permanent flame, lower gas usage and far higher water temperature. 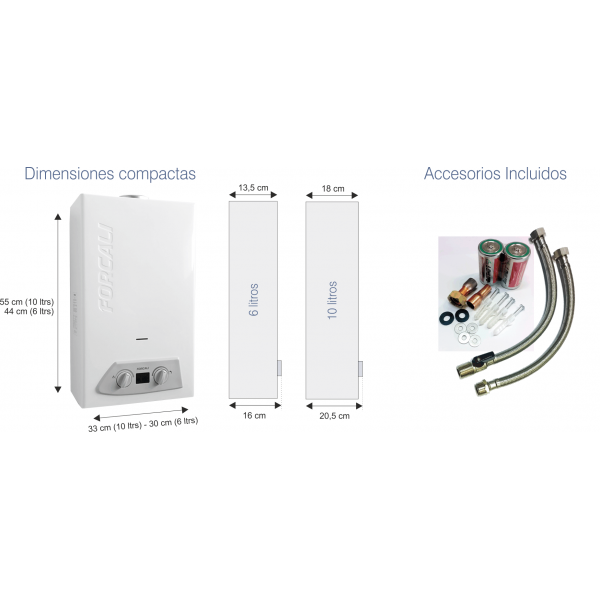 Universal water heater flue kit suitable for use with Morco D61, Cointra, Paloma..
Universal 5L and 6L water heater flue kit suitable for use with Morco, Forcali, ..